We’re a nation of dog-lovers alright, but perhaps we can love our dogs just a little too much sometimes. According to our first set of entrepreneurs, Dylan Watkins and Louise Mackintosh, 55% of dogs in the UK are obese. This is why they’ve developed their own brand of handmade, natural raw dog food dubbed ‘Poppy’s Picnic’. Poppy, Dylan’s own miniature schnauzer appeared pretty satisfied with the food. As far as branding was concerned, Dylan and Louise had evidently already done their groundwork. Dylan and Louise’s company ‘Four Legs Are Better Than Four Ltd’ is registered at Companies House. So, why and how are they called ‘Poppy’s Picnic’? It’s because they’ve decided this is the name of their brand. To protect themselves, they’ve also registered this name as a trade mark. Poppy’s Picnic was registered as trademark number UK00003102676 shortly after their company was registered. It’s important to realise registering a company does not protect your trade mark or branding. We’ve more information about company names and trade marks on our website. It was also interesting to hear them mention their licensing agreement for Hong Kong, and one nearing completion for China. China is a huge opportunity for exports or for licensing your brand. If you plan to or you are already trading abroad, it's important to know how to protect and enforce the IP rights that you own. There are some areas of Chinese law that differ from the UK, Hong Kong and elsewhere and that should be considered in your China contracts. Don’t get in a position where ownership of any improvements to your product is uncertain, or you’re stuck with providing a large indemnity to your Chinese partners. Don’t forget to use the IPO’s resources to support your business or research project in China. Contact our IP Attaché team in the British Embassy in Beijing for tailored support, or use or Template Non-Disclosure Agreement (NDA) specifically designed for UK-China technology deals. With tonight’s entrepreneurs being given the opportunity to choose from several similar offers, they opted for Debra’s offer of £60,000 for 15% of the business. The episode’s final pitch saw Dan Cheddie ask for a £60,000 investment in his company for a 10% stake in the business. In a flawless pitch from the full-time fire-fighter, it was Dragon fire Daniel had to contend with when queried about his patent. Along with being a fire-fighter, Dan had also worked for the family glazing business since the age of 19. As a result of his experiences in the trade, he’d come up with some award-winning, trade marked and patented safety products. The Dragons were all initially enthusiastic about the product, but there were some reservations over the lack of sales. Peter Jones, a hard man to impress, stated they were great products that could be licensed to the hire industry. 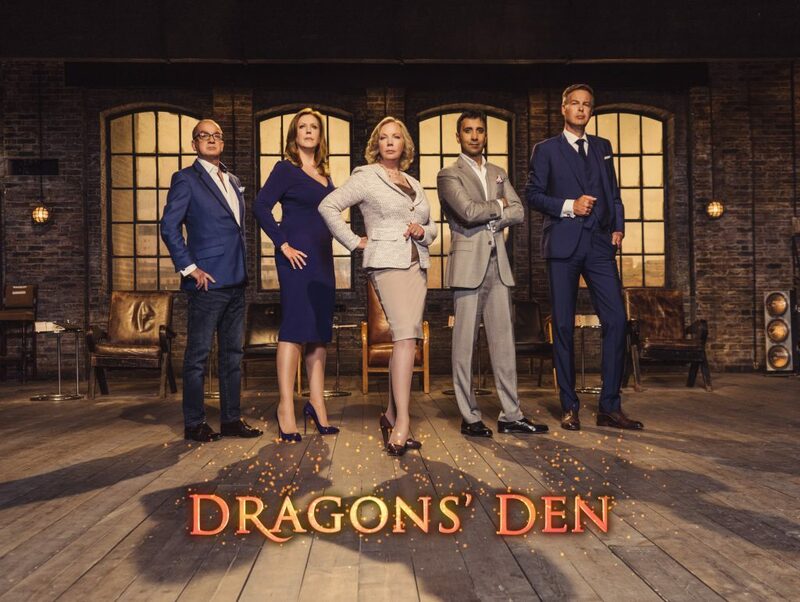 The Dragons don’t get to be where they are without the ability to see all aspects of an entrepreneurial pitch. Dan’s pitch took a turn for the worse when Deborah asked to see his patent specification. Dan had brought the proof of patent, but not the specification. Deborah was disappointed he couldn’t provide it because “the whole value will sit in the patent”. In these digital times, it should come as no surprise that patent information is freely available by heading to the IPO website. Using our Search for a patent tool, you can look up any published patent, provided you know some basic details. A quick search brings up Dan’s patent for the Stronghold. If only Dan could have looked on his mobile! Tej: Why have you only sold 75 units in the last year? Dan: I haven’t focussed on sales at all. Jenny: I think you’ve got entrepreneurial freeze. The Dragons slowly backed out. Fortunately for Dan, Touker Suleyman joined Jenny in an offer of 15% each for half of the money in what Touker described as a ‘punt’. Dan accepted their offer and left the Den happy. To get IP updates and tips direct to your inbox, be sure to sign up for our IP for business bulletins – no paperwork required!